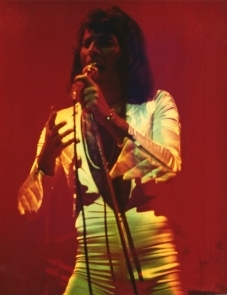 These pictures from the encore could be from any of the four consecutive nights (February 5-8) at the Beacon Theater. 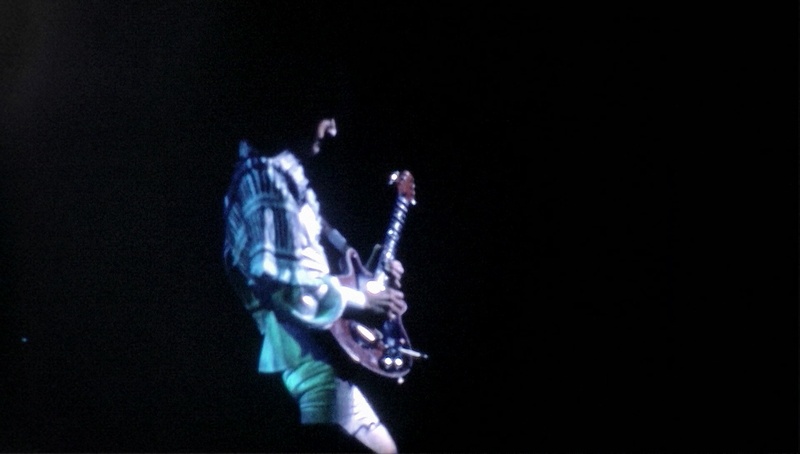 The second one is from Patrice Ackerson. 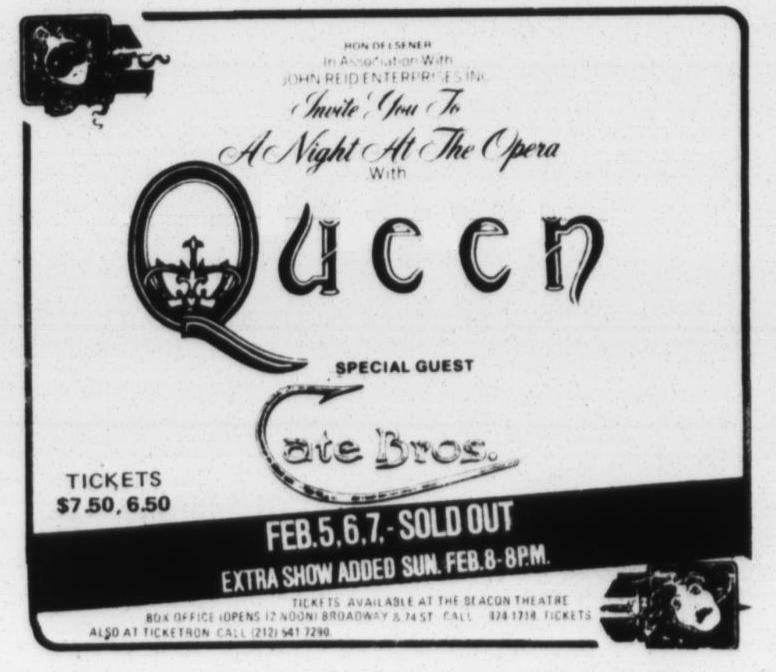 As indicated by this Village Voice ad, only three nights were originally planned, but ticket demand made a fourth night necessary. 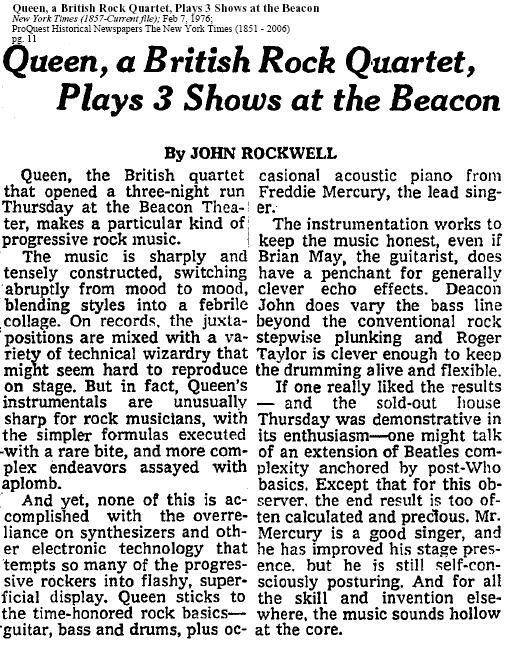 In fact, this review of the first night was written without the knowledge that a fourth night had been tagged on. 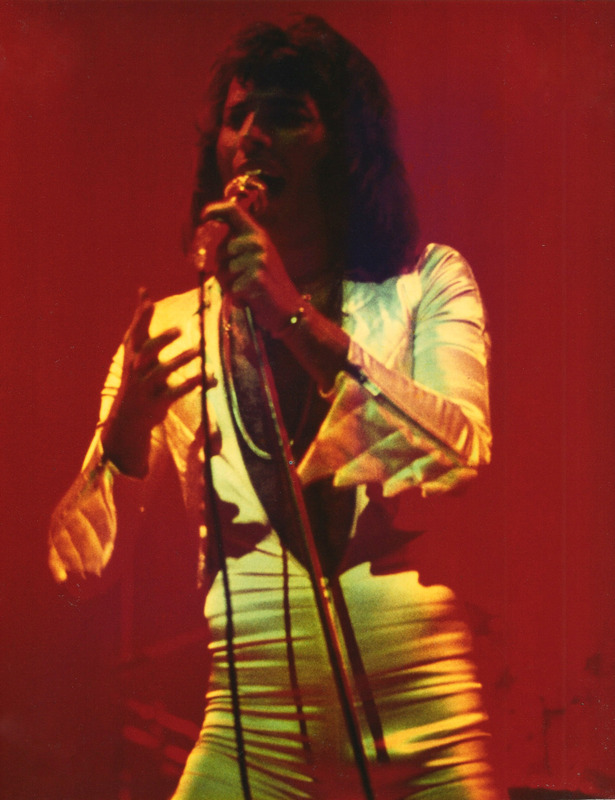 The second set of show pics were submitted by Juan Guarino (and cleaned up by Rudolf Griva). 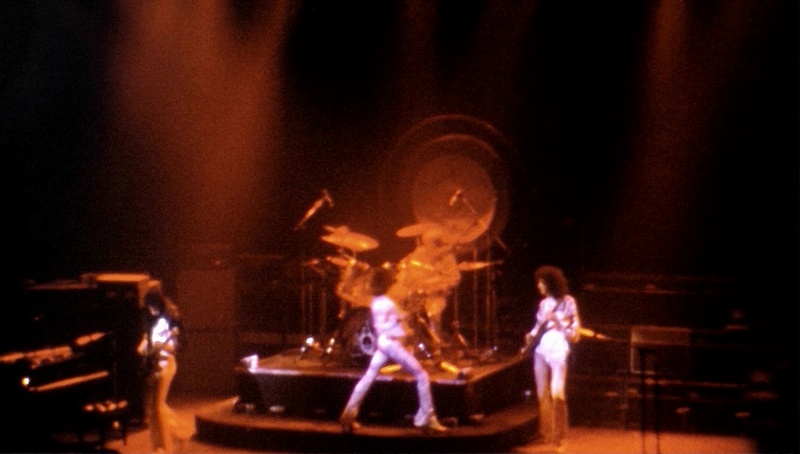 Here's another photo set that could also be from any of the four nights. 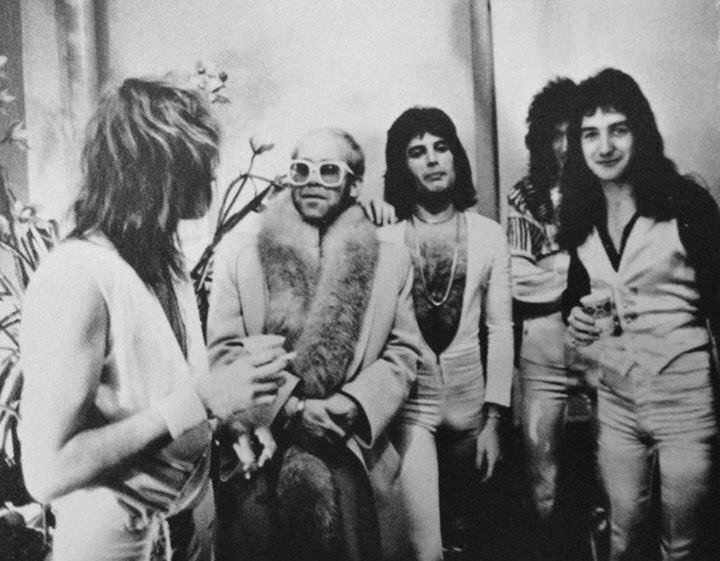 Elektra Records threw a party for the band after the show. 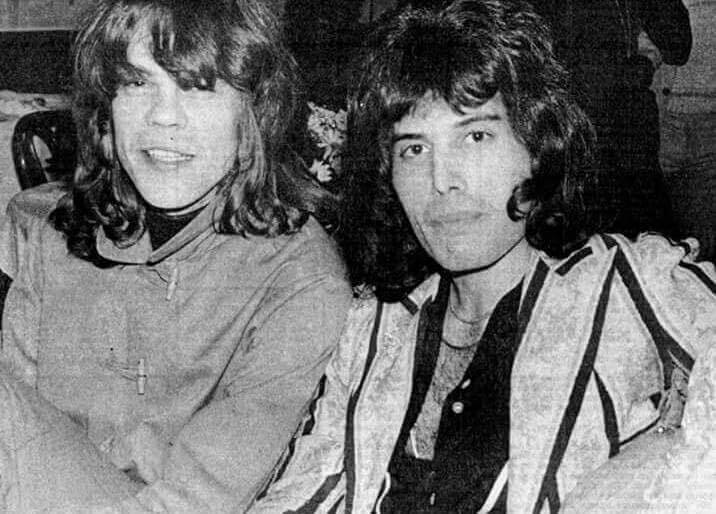 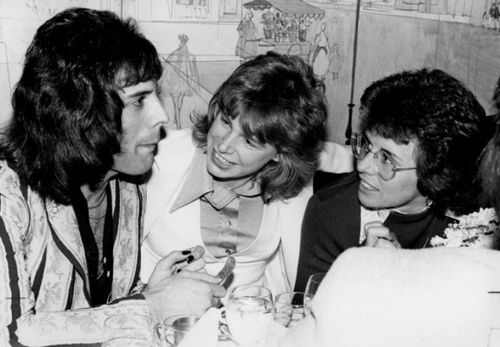 Attendees include Billie Jean King, Todd Rundgren, David Johansen, Ian Hunter, and Ahmet Ertegun. 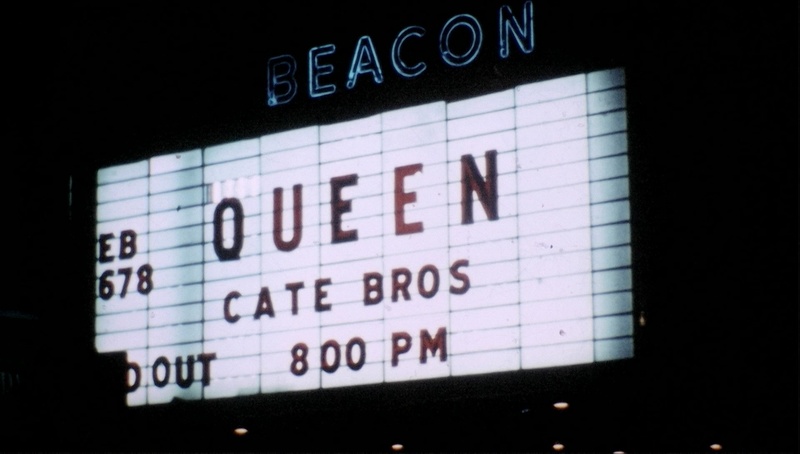 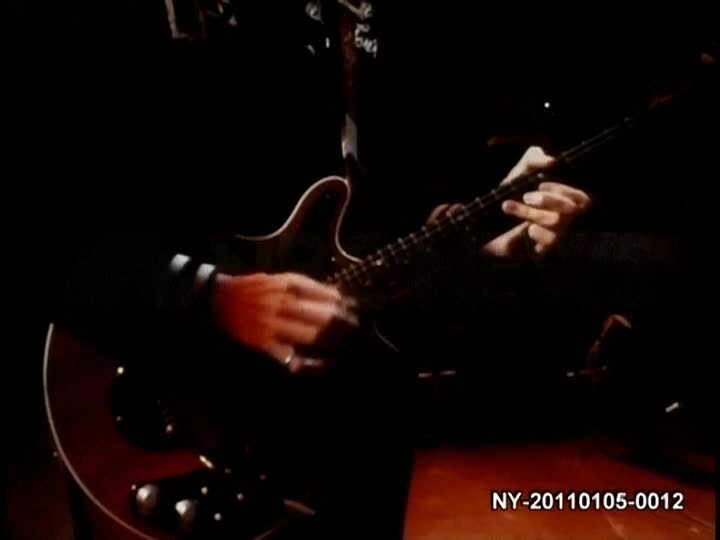 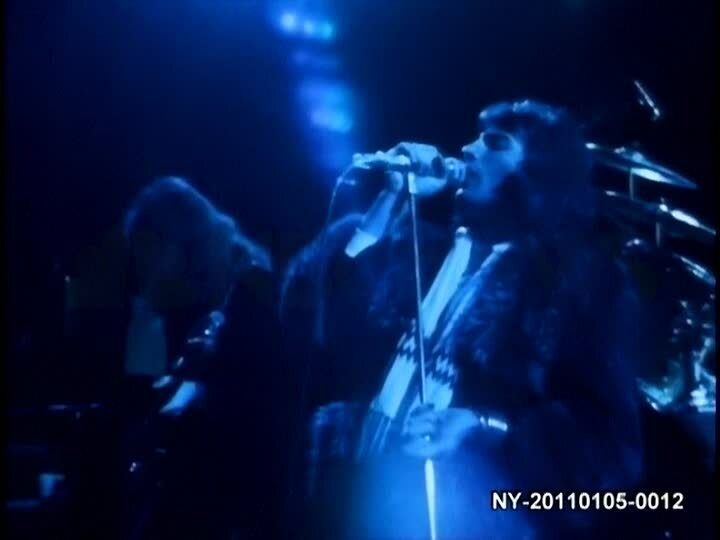 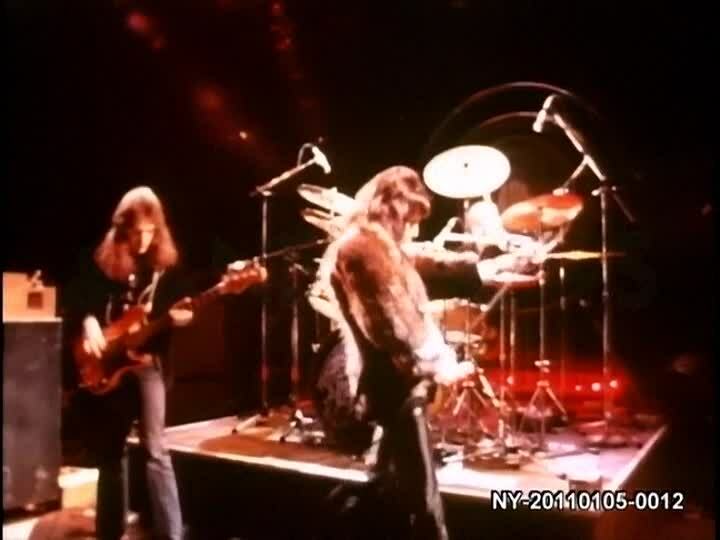 A few minutes of video footage exist from the soundcheck of one of the four nights at the Beacon Theater (although for some reason, people were quick to insist it was from the first night). 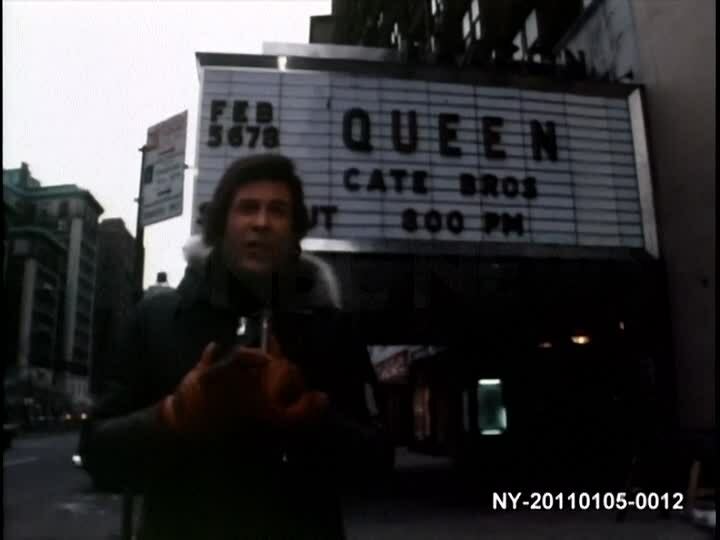 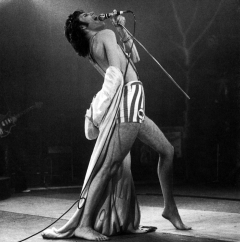 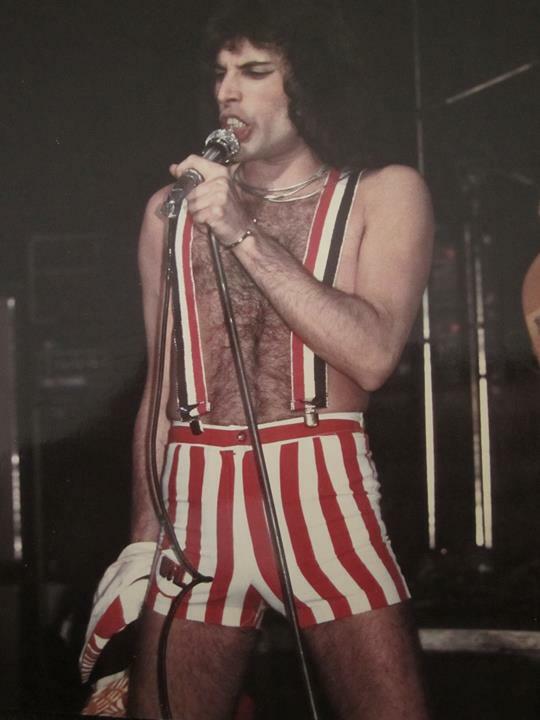 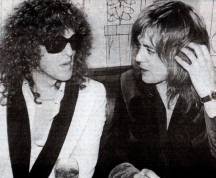 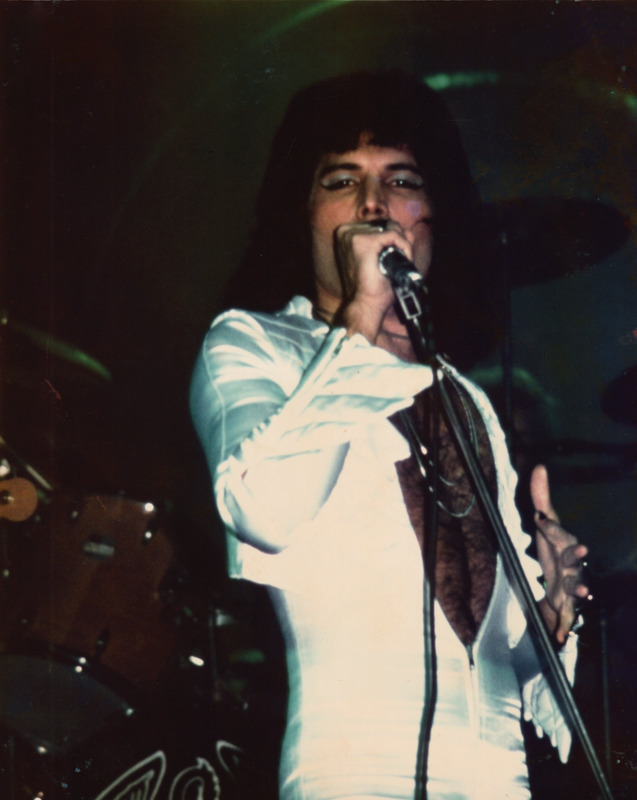 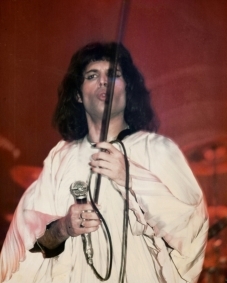 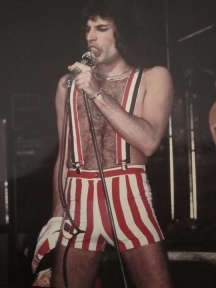 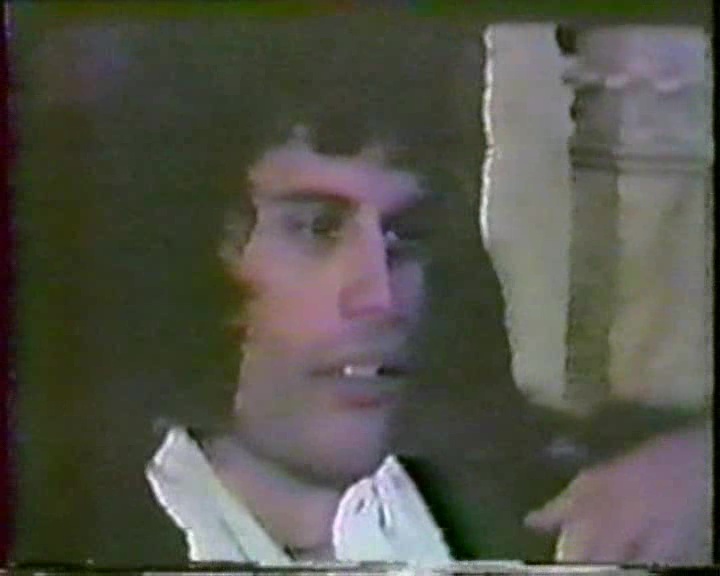 Bits and pieces of Now I'm Here were shown on US TV, along with an interview with Freddie Mercury and John Deacon with local NBC reporter Bruce Morrow. 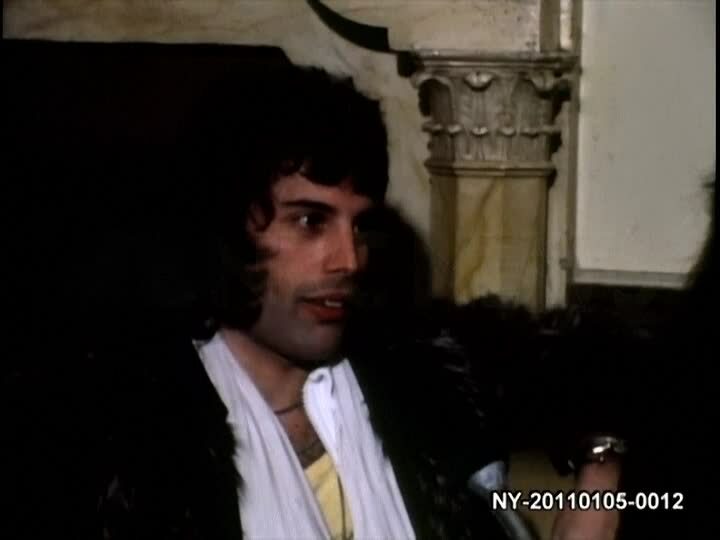 Some of this interview was seen in a 2015 BBC documentary called "From Rags To Rhapsody." 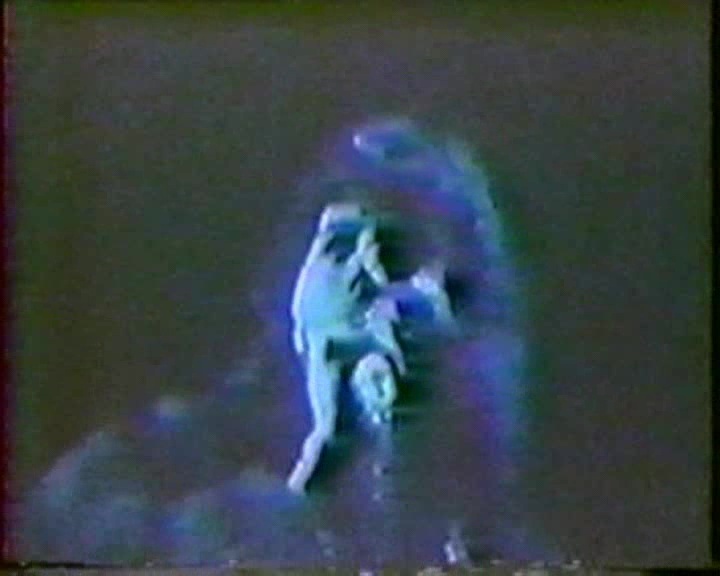 In 2013 a far superior version of some of the footage was made available on the NBC website. 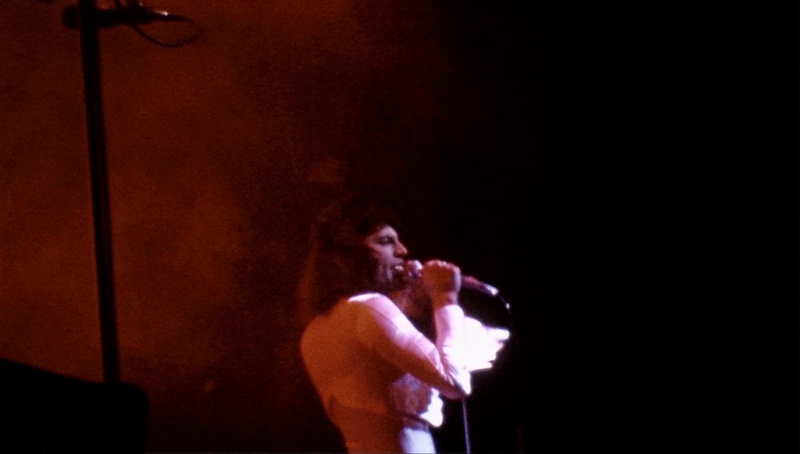 This film appeared on the official Queen YouTube channel in 2017, and days later the filmer let out his uncompressed copy. 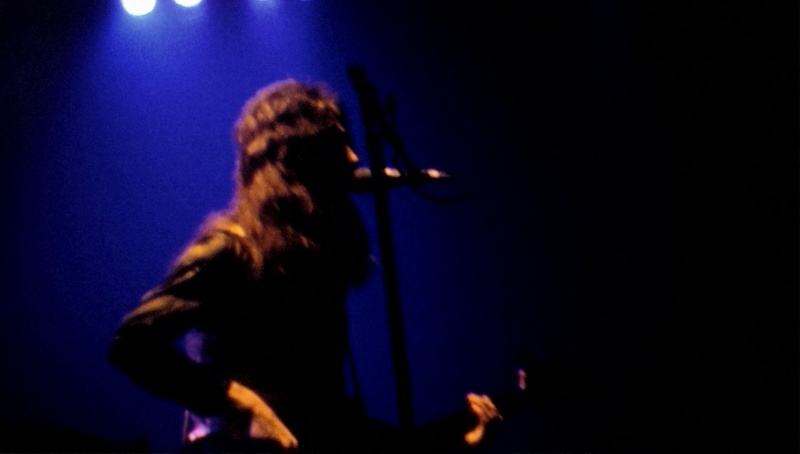 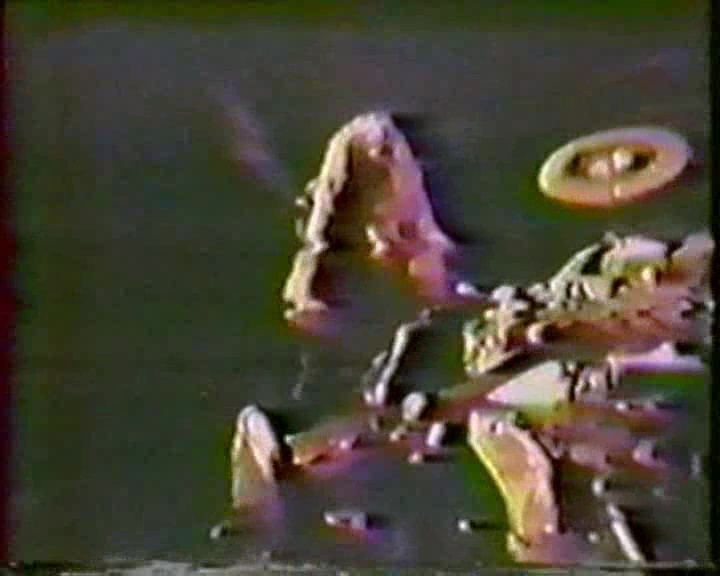 It is amongst the finest 8mm films of the band ever shot. 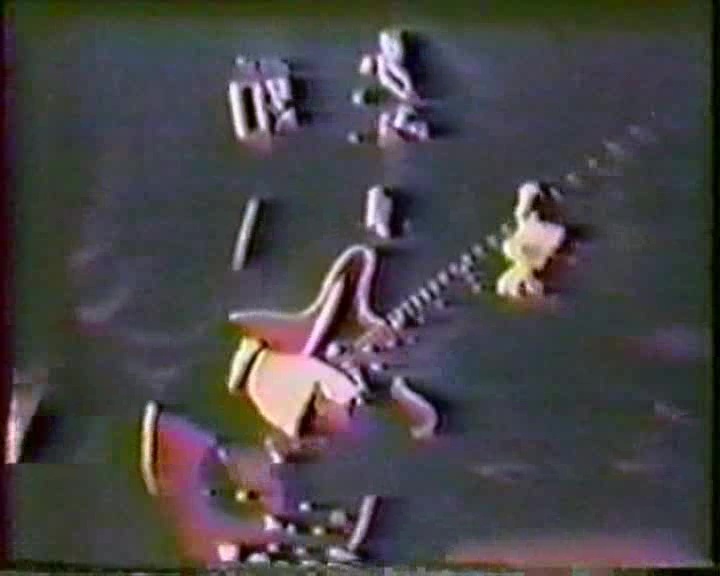 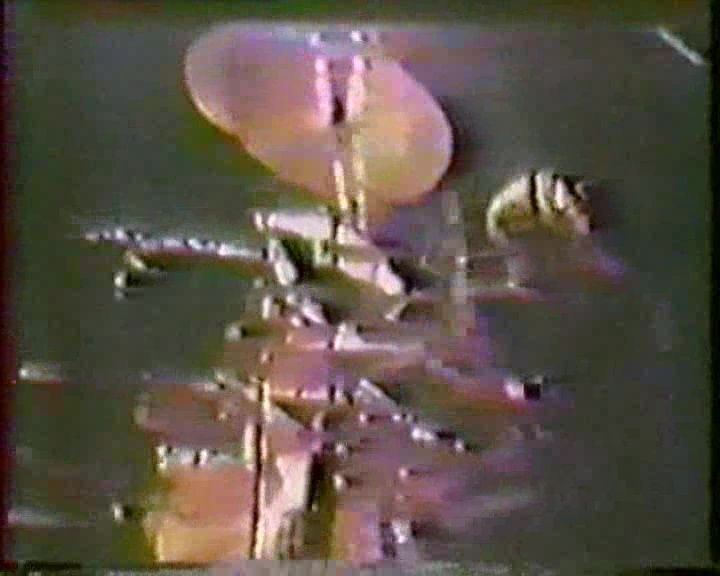 It's uncertain which of the four nights it's from, but it's unlikely to be from the second night, as the video doesn't match the audio in a couple key spots.